Copublished with the Los Angeles County Museum of Art for the major touring retrospective and concurrent exhibitions at the Solomon R.
Guggenheim Museum, New York and The Museum of Fine Arts, Houston, this comprehensive volume illuminates the origins and motivations of James Turrell's incredibly diverse and exciting body of work--from his Mendota studio days to his monumental work-in-progress Roden Crater. Whether he's projecting shapes on a flat wall or into the corner of a gallery space, James Turrell is perpetually asking us to "go inside and greet the light"--evoking his Quaker upbringing. In fact, all of Turrell's work has been influenced by his life experiences with aviation, science, and psychology, and as a key player in Los Angeles's exploding art scene of the 1960s. 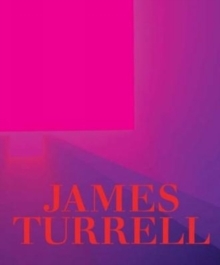 Enhanced by thoughtful essays and an illuminating interview with the artist, this monograph explores every aspect of Turrell's career to date--from his early geometric light projections, prints, and drawings, through his installations exploring sensory deprivation and seemingly unmodulated fields of colored light, to recent two-dimensional experiments with holograms. It also features an in-depth look at Roden Crater, a site-specific intervention into the landscape near Flagstaff, Arizona, which will be presented through models, plans, photographs, and drawings.